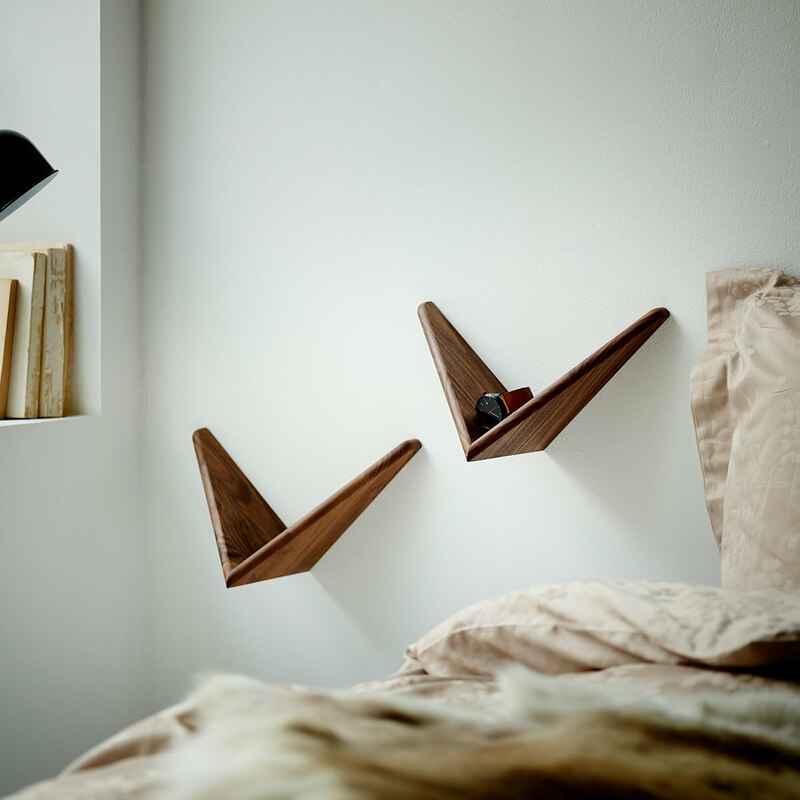 The Butterfly Shelf is perfectly executed with a playful contrast between a lightness of shape and the solid wooden material. This adds to a clean look with just one single detail: a laser-cut brand name on the "wing" as a testament to the authenticity of the one-and- only iconic design. The Butterfly shelf functions as a classic shelf configured in many different ways, a modular bookcase, single storage for accessories, as a side table or an aesthetic face-lift for bare walls. Set of two in oak or walnut timber.